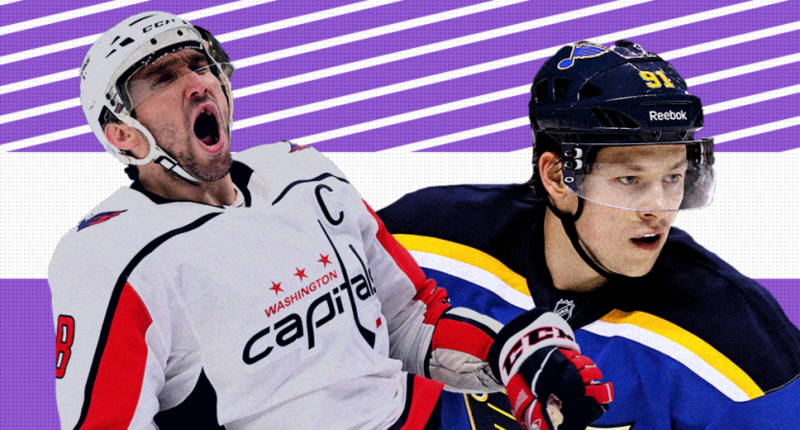 The 2018-19 NHL season was one for the record books. The league saw an abundance of scoring, incredible individual performances, teams mounting comeback victories and the continued decline of fighting. With the playoffs already off to a great start, we’re going to take one last look back at the season that was with an eye on the most noteworthy statistics and figures. That’s the total number of goals scored in the 2018-19 season. That breaks down to an average of 6.0 goals scored per game, the NHL’s highest mark since the 2005-06 season saw an average of 6.2. It is worth noting that the 7,664-goal total does include 87 shootout-deciding tallies, but that shouldn’t take away from the gaudy total. We discussed scoring a bit further when we analyzed that power play opportunities were falling despite the rise in scoring. It may go without saying that the league’s recent efforts to boost scoring has worked. Here’s hoping they don’t tinker further now that things seem to be in a pretty good place. That’s how many wins the Tampa Bay Lightning had in 2018-19. The team’s historic season fell one win short of breaking the NHL record for most wins in a season. They dominated in nearly every area of the game, as shown in their 62-16-4 record, their 319 goals scored and their insane 28.2% power play success rate. The Lightning were nearly unbeatable in the regular season, which has made them a huge target in the postseason. The total number of fights in the NHL this season came in at 226 according to the folks over at HockeyFights.com. Sound like a lot? It isn’t. In fact, it represents yet another significant drop. The league had 280 scraps in 2017-18 and 372 in 2016-17. Looking back almost 10 years ago, about 40% of NHL games had at least one fight in them. It doesn’t take any serious analysis to recognize that the NHL is rapidly moving away from fighting. That’s how many players toppled the elusive 100-point plateau in 2018-19. It’s the most players to break the century mark since seven players hit the milestone in 2006-07. That’s the date the St. Louis Blues were last in the NHL. Sitting at 31st, the Blues making the playoffs sounded like a conclusion fit for only the very intoxicated analyst. One 30-10-5 run later, the best run in the NHL over that time, the Blues nearly won the Central Division and are in a first-round series against the Winnipeg Jets. A coaching change and the infusion of rookie sensation Jordan Binnington has made the earlier garbage fire seem like a distant memory. Vladimir Tarasenko, Ryan O’Reilly and some strong depth scoring lifted the Blues back into Stanley Cup contention. Consider this a lesson that’s it’s never good to write off a team too early. That’s the total number of goals allowed by the New York Islanders in 2018-19. What’s the significance? You’ll need to look back to 2017-18 to find that the Islanders pulled off one of the best defensive turnarounds in NHL history. The Islanders allowed the most goals in 2017-18 when they conceded 293 total goals. One year later, they allowed the fewest goals in 2018-19 with 191. That 102-goal shift is a testament to the overhaul the team had this season. That’s how old Alex Ovechkin was when he led the league in scoring with 51 goals. Ovechkin, who continues to prove that he’s one of the best scorers the NHL has ever seen, became the first player in 44 years to lead the league in scoring at age 33 or older. Will Ovechkin ever start slowing down? That’s how many multi-goal comeback wins the NHL saw in 2018-19. That total in the most in league history and goes hand-in-hand with the uptick in scoring. As scoring rises, it’s easier and easier for teams to claw back after falling behind by two or more tallies. That’s the percentage of games that saw a team winning after trailing by at least one goal. Maybe fans need to avoid panicking when their team falls behind by a goal early in the first period. No lead feels safe in the modern NHL. To wrap up our list, we’ll highlight a player who land on this list for something he didn’t do. Zero is the number of total penalty minutes Washington Capitals forward Chandler Stephenson had in 2018-19. He didn’t pick up a single penalty call in 64 games played. Stephenson was the only player who skated in 60+ games to maintain a clean record.